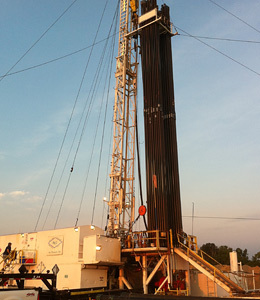 TEI recently purchased 40 producing oil wells comprising 1400 acres in Knox County, Indiana. The existing wells produce from the Penn sandstones, Cypress and Benoist sandstones. Trey will be initiating secondary recovery in the the existing formations and drilling several deeper tests to the Harrodsburg and Devonian Limestones.